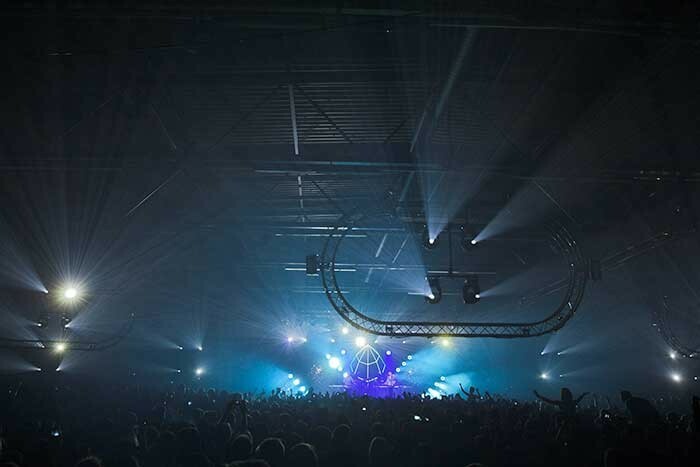 Robe was once again prominent on the lighting specification lists for I Love Techno - one of the best known and most popular annual events in Belgium’s action packed EDM calendar, staged at the Flanders Expo in Ghent. Up to 35,000 techno enthusiasts enjoyed great vibes and an international DJ and artist line up in five main rooms, plus a Chill Zone and two special arenas sponsored by Red Bull and Coca Cola respectively, all highlighting different genres and sub-divisions of techno. 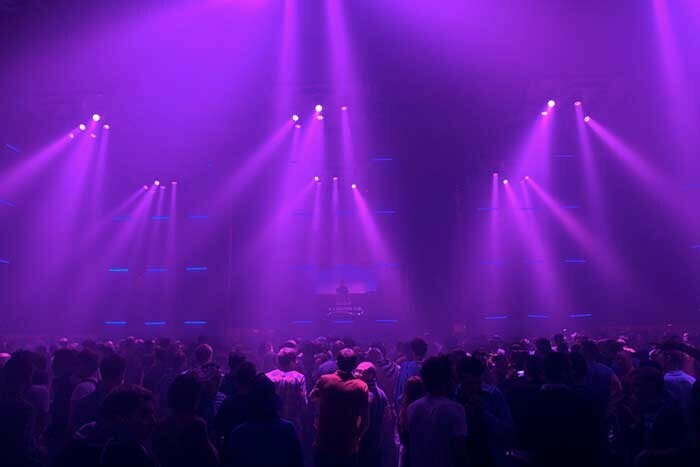 Event production lighting designer Thomas Boets once again chose Robe as one of the main moving light brands for 2013 with approximately 250 fixtures on site. Boets designed five out of the six main areas, including the Chill Out Zone. He is a big advocate of Robe and uses various different Robe products on most of his projects. His overall production design which also included video and LED fixtures seamlessly integrated with the lighting for each room, also introduced shaping and architecture with a number of different trussing and scenic structures. He enlisted the talents of some of Belgium’s most experienced lighting programmers and operators to run each of the Arenas, all bringing their own talents to the lighting equation. In the Green Arena which was headlined by the super-hot Disclosure, Dusky, Klangkrussell and many others, 78 Robe 600E Spots were scattered around, including being rigged on to eight oval shaped trusses flown above the large dance floor and the stage. These were joined by 28 LEDWash 600s, together with strobes, blinders and other techno-orientated lighting effects. All the equipment in the Green area was supplied by L&L Stage Services from Herentals near Antwerp, who have been increasing their Robe stock steadily in the last two years. The Green Arena lights were operated by Kristof van Mensel using a ChamSys MQ300 console. Right at the centre of the event was the Red Bull Elektropedia Room for which Boets came up with the inspired idea of creating the room out of quad stacked cargo containers, all painted white, providing an ideal surface for reflecting and bouncing light around the space as well as looking very cool and proto-industrial. Nine trussing pods were installed in the roof to give lighting positions, each rigged with nine LEDBeam 100s – giving 81 fixtures over the dance floor in total – and these were the main lighting effects making a spectacular impact in the hands of programmer/operator Sam Meel using a grandMA2 full size desk. All the equipment in here was supplied by the Purple Group from Schijndel in The Netherlands, another big investor in Robe. The Coca Cola Club Freshhhh arena was illuminated with 32 LEDBeam100s and four LEDWash 600s together with a couple of 600E Spots for logo projections, all operated by rising young Belgian LD, Glenn De Clerck. He was restricted to using only red and white looks, scenes and effects to be true to the brand ident, but the lighting still added hugely to the vibe and excitement as the evening unfolded. The kit was again supplied by L&L. In the Blue Room, Phlippo Showlights supplied all the lighting including eight LEDWash 800s which were used above the stage to light the DJ, all operated by Frederik Heerinckx. The Yellow Arena featured a stark, no-nonsense retro look – no video and lots of scaffolding – in keeping with the banging old-school style of the music, complete with 12 Robe LEDWash 300s used specifically to light Goose during their set. Lighting was operated by Timothy De Mets. Another very successful I Love Techno event was enjoyed by everyone, and Robe once again proved its fixtures are ideal for lighting EDM projects with the fast movement, dynamic range of effects and light weight of the units.